When it came to tackling the most significant baseball season of my lifetime the task got a lot harder. First of all, no other season has affected me like last year's Giants. Secondly, we are fresh off that season. So unlike the other posts I made, less research was needed to jog the memory about all the events. Third and finally, the 2012 Giants season was my first without my father. A theme you will see intertwined throughout. I'm putting a bow on last year. The significance of that season will never be matched. So before we look ahead to this year's team, one last stroll down memory won't hurt. I have too many words to write to make it one blog post, so there will be 5. I'll roll them out over the next few days as we lead in to the meat and potatoes of spring training. Then it's on to 2013. Personally 2012 was probably the most tumultuous yet significant year in my life. 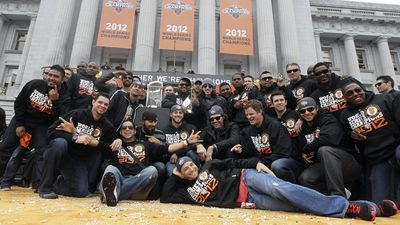 Since baseball is my sport, the 2012 San Francisco Giants season stands out above the rest. It was one of the strangest years of my life, so the effect the Giants had on me may have been even greater. But that's kind of the point here isn't it? It's why I looked at seasons that were most memorable, not just championships. Believe me when I tell you that when the Giants came back and beat the Reds in 5, everything else was gravy. Then to have the amazing streak of 7 games to close it out was way beyond expectations. The funny thing is, I didn't watch the whole season. I entered the 2012 baseball season on June 8th. My father died on March 19th of last year. Shortly thereafter I took a very long vacation. I went to a beach and was not connected to the rest of the world. My return to civilization came on June 7th, it wasn't until the next day that I even watched a ballgame. My season started there, and my timing couldn't have been any better. 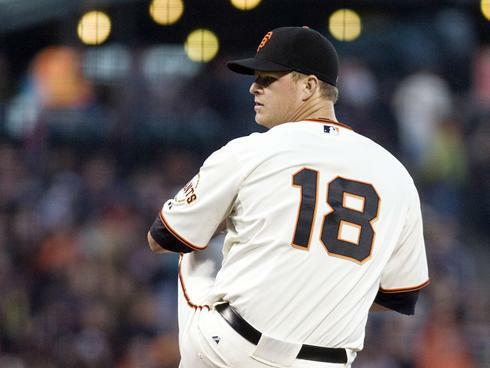 When Matt Cain took the mound on the night of June 13, it was my first chance to watch him pitch in 2012. Cain has been known to have "no-hit" stuff. On any given day he could fire off a gem and it wouldn't surprise Giants fans in the least. I should let you know that I live in Tampa, Florida. I am a long way away from San Francisco, but my heart beams with pride when I watch a Giants game. I watch on my computer, so on that night I settled in and watched history unfold. My best friend Karen and I have lived together for many years in many places. She has watched a lot of baseball with me. Some games just feel different, this was one of them. After the 3rd inning I drifted back to her room where she was working to let her know that it might be the night Cain does it. It was clear from the beginning of the game that he was hitting all of his spots. The first real test came in the 4th when Jordan Schafer battled through a 10 pitch at bat before striking out swinging. By the start of the 7th I had Karen in the living room and the game on the big screen. I have watched the Giants do many great things with Karen, and this was the top of the list. I was so glad she was there to share the joy of that moment. It made it that much sweeter. The timing of her joining me to watch was perfect. In what may go down as the greatest catch in San Francisco Giants history, Gregor Blanco brought us to our feet. Blanco was leading off and playing RF that night. I had no idea who he was. Then on a 3-2 pitch to Jordan Schafer he flashed into all of our lives forever. It was a well struck deep fly ball to right center field. The sound was solid and the ball carried to the deepest part of the yard. Then, just as it was crashing down to give the Astros their first hit, Blanco's full extended body caught it while diving towards the warning track. He had the most amazing jump on the ball and tracked it down. Cain's arms went in the air, and the rest seemed inevitable. The final 8 hitters in the Astros lineup were no match for the surgical precision of Cain that night. History was made on a ground ball to Joaquin Arias at 3rd. The moment the ball hit Belt's mitt at 1st, emotions just started pouring out. I cried like a baby. My dad didn't get to see this. He didn't get to see something so wonderful happen to the team he loved. But it wasn't sad at all, it was magnificent. It was one of the many times during 2012 that I thanked my father for raising me a Giants fan. 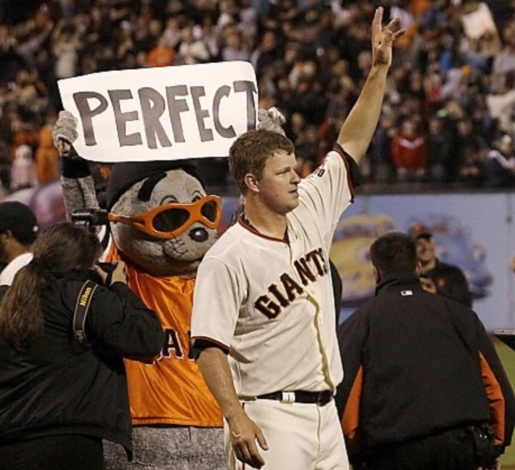 Matt Cain had thrown the first perfect game in Giants history by striking out 14 Astros on 125 pitches. He threw first pitch strikes to 19 of the 27 batters he faced and only went to a 3 ball count four times all game. It was by far his greatest game ever, and the beginning of my wild ride with the 2012 San Francisco Giants. "But it wasn't sad at all, it was magnificent." --yup yup!